What title in gaming history has ever made you hungry? Most food-related games such as Overcooked don’t sound that appealing at all. Maybe a game of Candy Crush on your phone got your teeth aching from those hard candies you still had somewhere behind a cabinet door. What about a sequel title such as Shawarmageddon? Getting any spacious feelings in your tummy yet? Smell some garlic sauce? Maybe a thirst for a side-scrolling real-time strategy game? That last part is something Swords & Soldiers II could help you with. 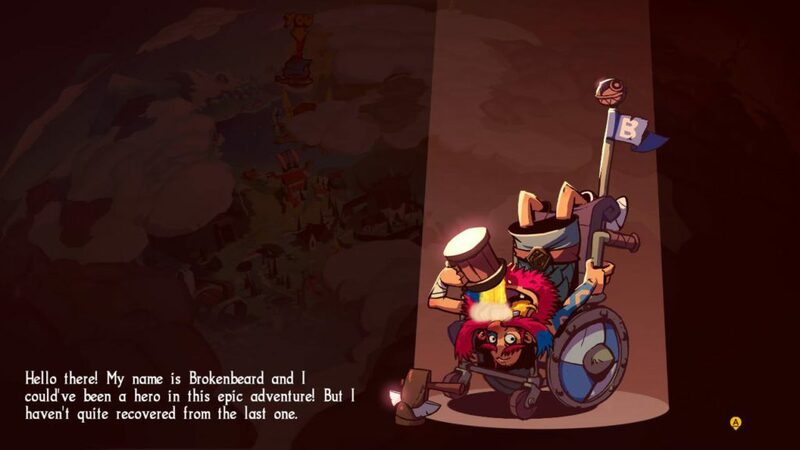 The story in Swords & Soldiers II is light-hearted with comedic timing, and it feels a bit like you are tuning in for some of the classic cartoons that you were watching at Saturday or Sunday morning. The game’s story is divided into a couple of factions, from which you start off with the Vikings under the rule of Redbeard. Redbeard first seems to have some beef with other Viking groups, but the story quickly develops towards a magic lamp and shawarma, the food Vikings apparently are insanely fond of (and maybe the creators as well). The Vikings start to meet other factions! The Undead, the Persians, Goblins.. and you get to play with them all as a nice little story where in-game cutscenes and an in-between missions narrator weave it all together. It’s to the point, humorous and enjoyable. Visually, this game has quite a bit to offer as it’s bright, colorful, has good and powerful animations, and a lot of different characters to look at. It’s entertaining and at the same time doesn’t get boring fast. The only remark which is not a deal-breaker per se, is that you can’t always easily target an enemy with a single-target spell when they walk around in groups. Other than that, every thing, ranging from the backgrounds, characters, animations and objects, all look great. The sound is fitting for a group of Vikings running around with the medieval-fashioned lute and flute music. Hacks, slashes, booms, and others are all included. The real star of the sound division for Swords & Soldiers II is the voice acting though. Each summonable character has its own unique voice and set of reactions. On top of that, all the written text is narrated too with great voices and believable characters. Between story bits there is somebody talking and explaining called Brokenbeard, making the story accessible to all ages. During missions, there are conversations between two or more parties. 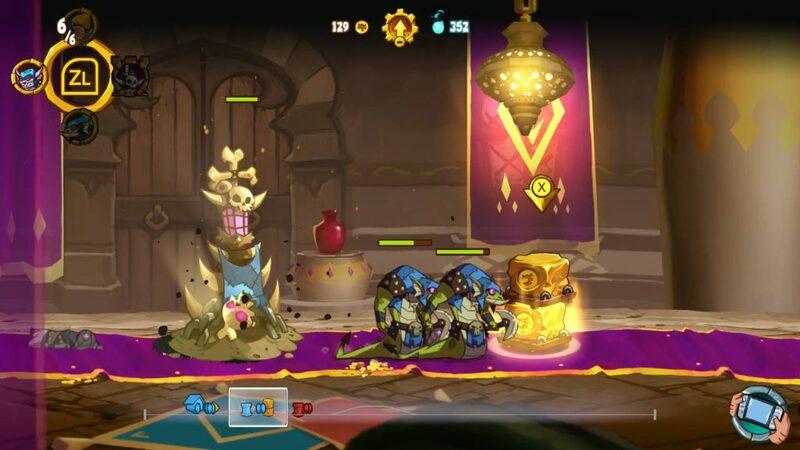 Swords & Soldiers II: Shawarmageddon lets you play what could be best described as a side-scrolling real-time strategy game. This means you have a basic horizontal level going from left to right. On the left side is your army, on the right side, the enemy’s. The goal is to destroy the base on the opponent’s side. Both bases have a goldmine next to them and you can create up to six workers at a time to gather this gold for you, that you use to buy upgrades and summon creatures to fight for you or other war supplies. You can also send your workers out on the field to pick up drops that float down gently on the entire map as time progresses. Stacks of these drops go up to three crates maximum, and are, in a normal game, either gold, mana, or a combination of both. Mana can also be gained by building structures that help you. You can use the mana to unleash a large array of spells upon your enemies. This can be as simple as a thunderbolt striking down, damaging a single enemy, all the way up to full-blown insanely powerful spells that obliterate your enemies (and often come in the form of a mini-game). 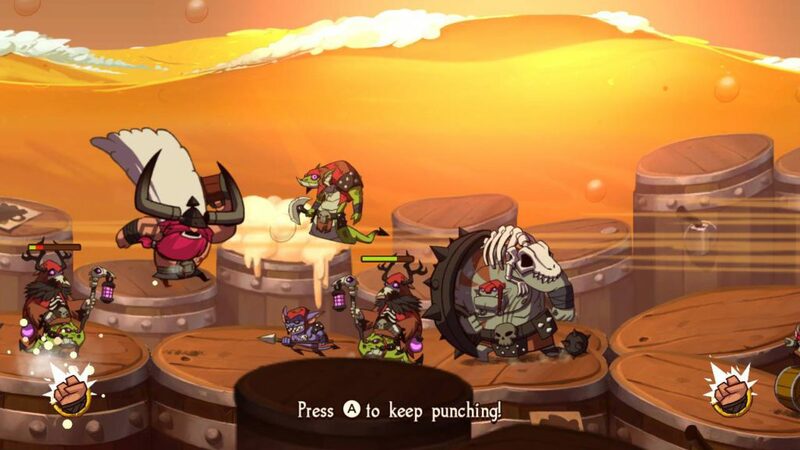 The controls on the Switch have been adapted where your left trigger brings up the radial to summon creatures, and the right trigger is used for spells. It works great and couldn’t have been done any better. 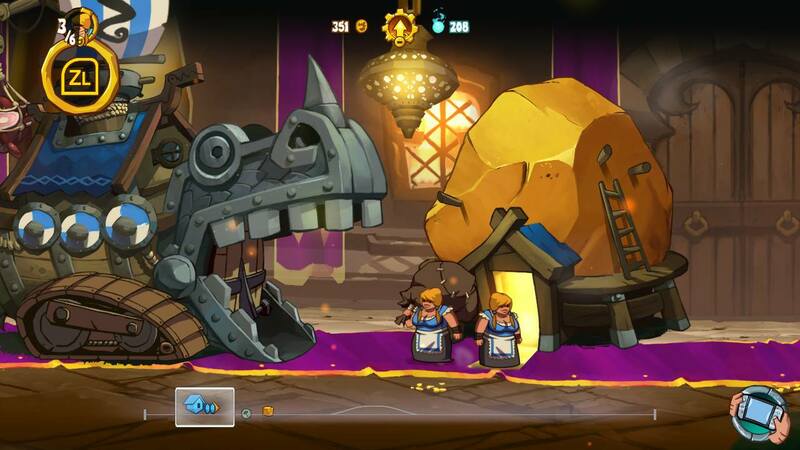 The real fun in Swords & Soldiers II is that there is plenty of variation to go around. The more you play, the more you unlock. The more you unlock, the more you can mix and match creatures and spells as you progress and play some free matches. Here you can pick four tier-1 spells or creatures, four tier-2 and four tier-3. So in total, you are bringing a loadout of twelve things with you that you have to unlock with gold in-game before you can use them on the battlefield, allowing for a steady and progressive build-up. You could be fighting with twelve totally different skills compared to your opponent. Online this is also fun and it keeps the game’s replayability pretty high. When doing the other campaign levels, the game keeps surprising you with different types of levels and gameplay, such as you racing another base, playing a puzzle with portals, or some type of capture the flag. The main focus in Gameplay is clearly based on solid fun, and it’s done with success. 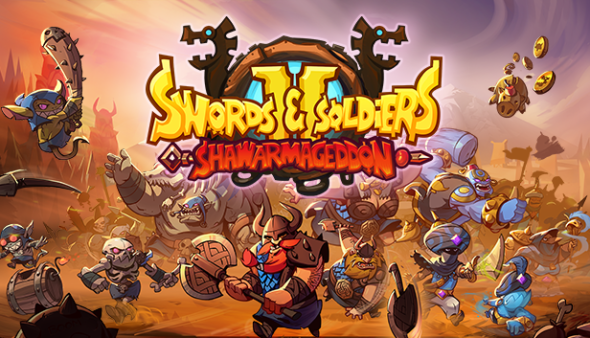 Swords & Soldiers II: Shawarmageddon is very solid, balanced, and loads of fun with replayability up to the point you are tired of the strategic side-scroller type of gameplay. It has great, colorful graphics, a nice little story, humor, basically everything you want in a game. Add to that, that it’s nice to take it with you on the Switch and it’s definitely a title you should consider picking up when you want a moderate challenge and fun. And shawarma.